Exhibitions are the perfect way to promote your company to hundreds, or even thousands of potential new clients. By making your stand interesting, interactive and fun, you are guaranteed to stand out. Having a simple pop up stand, with two employees is great… if you want to look like every other exhibitor at the show. Why not be that unique company that thinks outside of the box? It doesn’t have to relate to what product or service you are promoting, it is simply a tool to attract visitors to your stand and remember you once the event has come to an end. 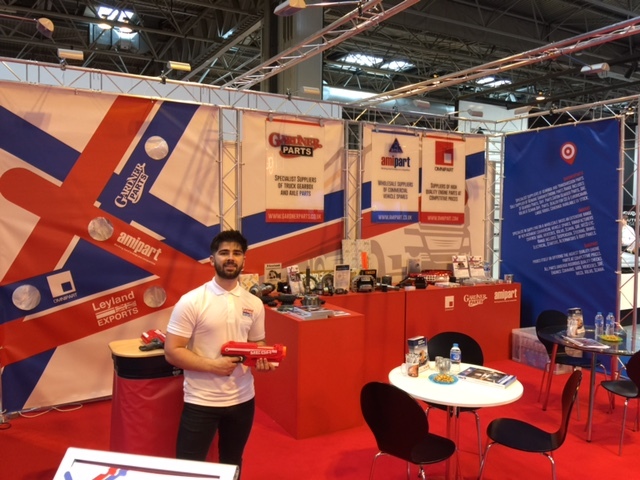 Our client, Amipart, exhibited at the Automechanika event, at the NEC, Birmingham. We fully manage all events that Amipart exhibit at, which means that part of the process is to design and print their stand. As a company that supplies a vast range of replacement trucks, we needed a hook to showcase them in a different light to their competition. Our idea was to incorporate a target range into one area of the stand, which enabled visitors to ‘shoot’ the area they were most interested in. It was a great ice breaker to have and a fun addition to the stand. Do you have an exhibition coming up and need some creative design ideas? Alternatively, take a look at our exhibition section of the website.